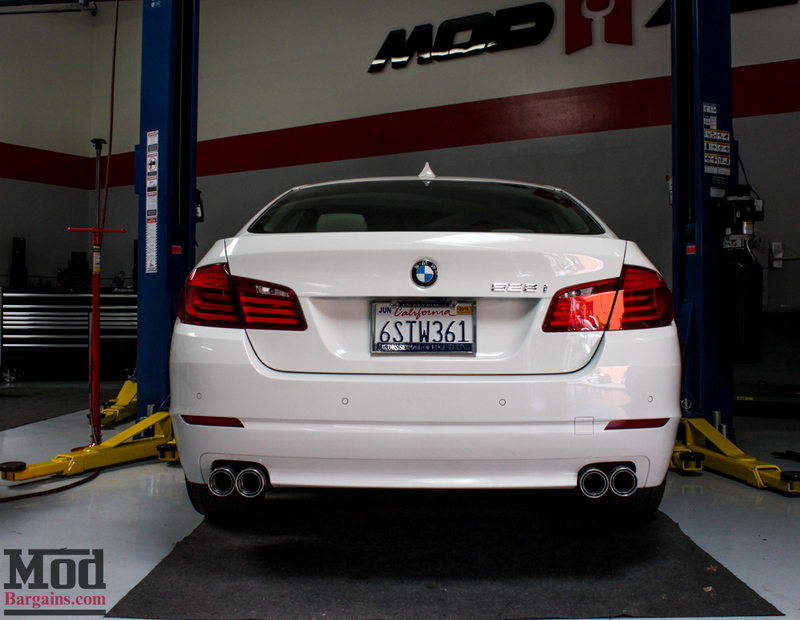 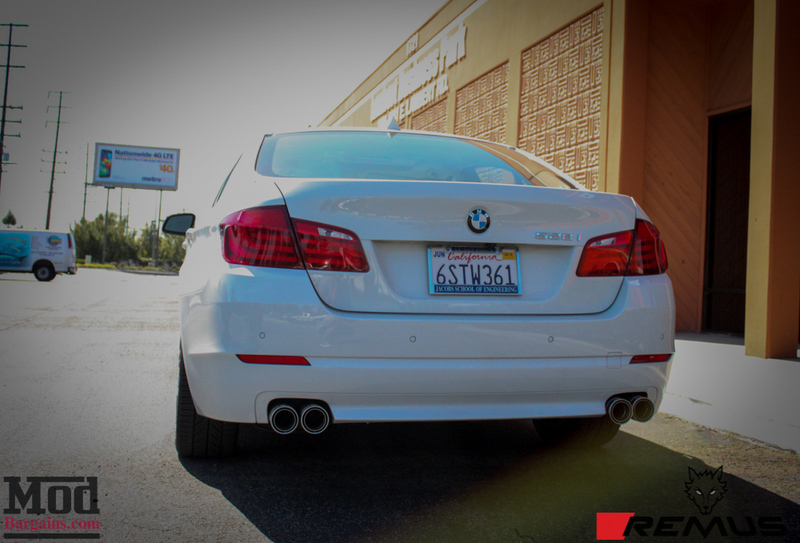 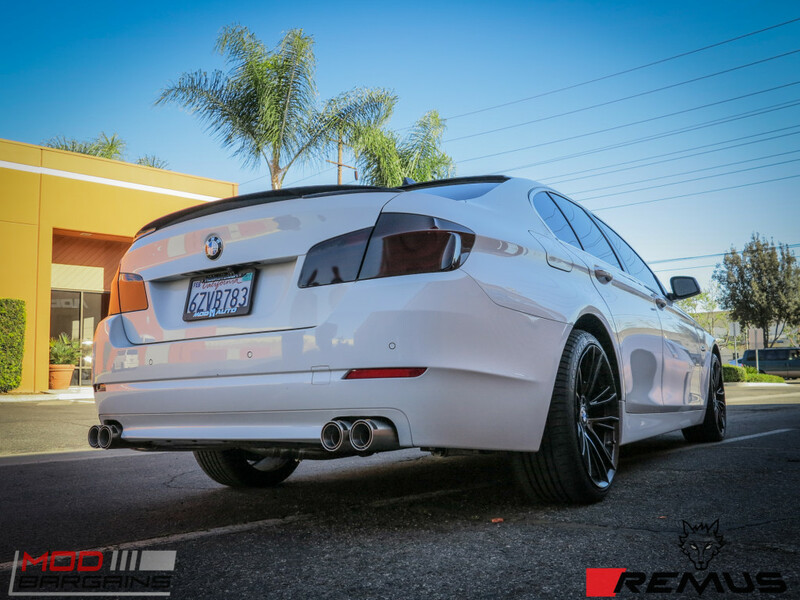 Give your F10 523i/538i a new deep and aggressive sound with this Remus Street Race BMW F10 523i/528i dual exit exhaust system. 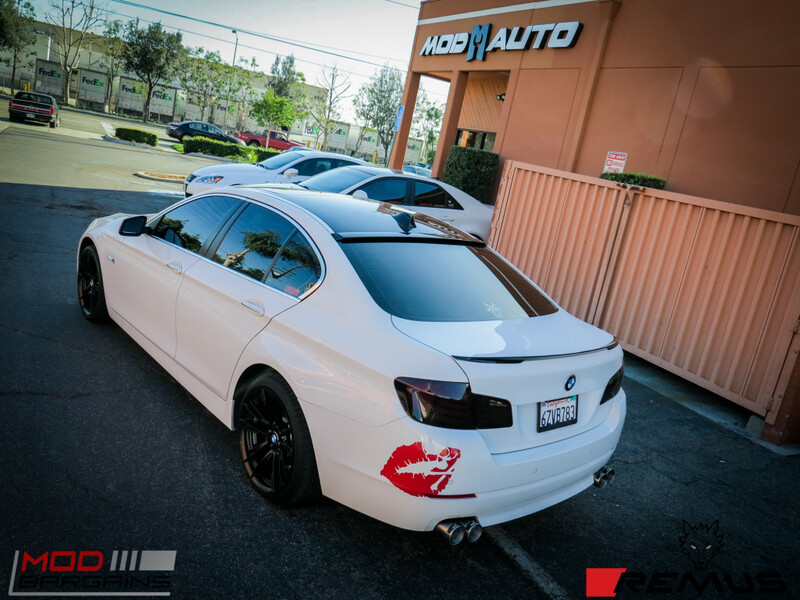 Trimming of the bumper will be needed. 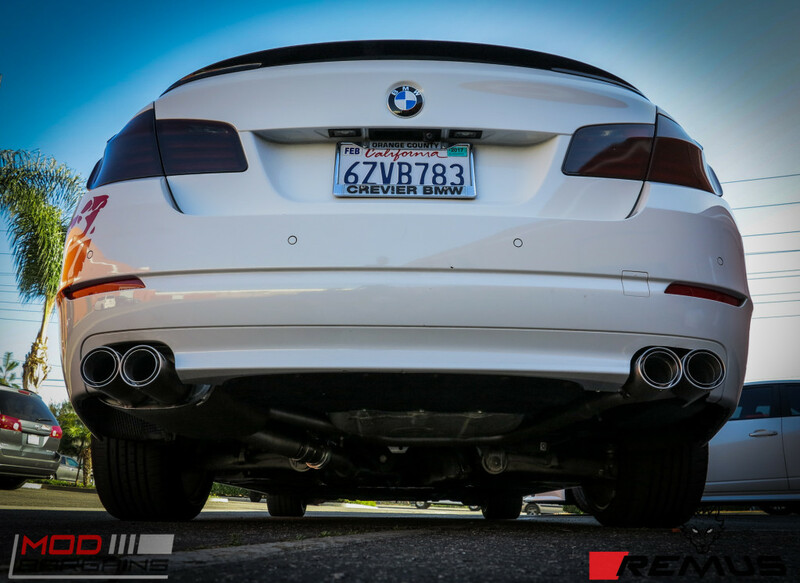 Fitment Exit Tip Style Tip Size Part No. 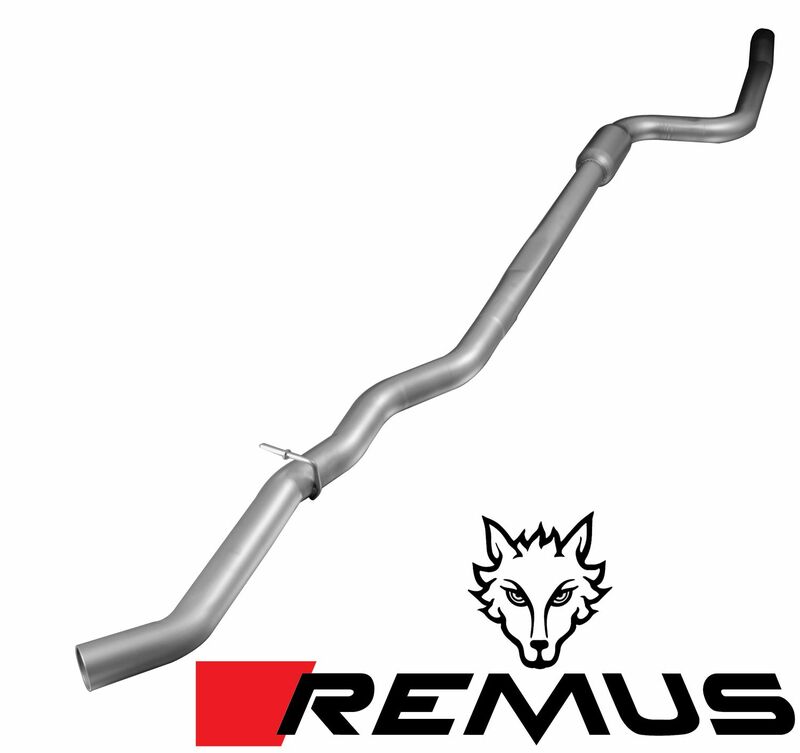 ModBargains is proud to introduce the new Remus Street Race BMW F10 523i/528i exhaust system. 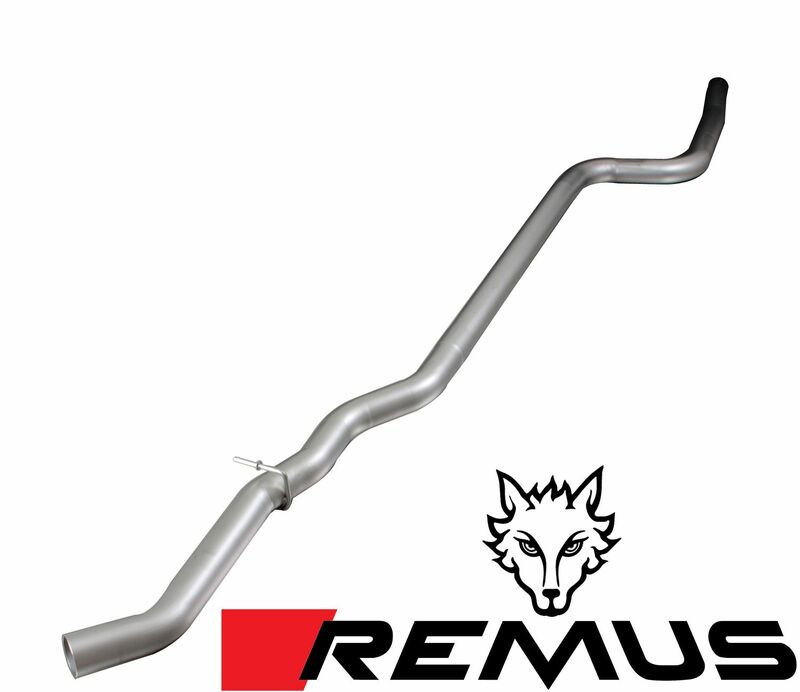 This F10 Remus exhaust features a straight through muffler design, reducing backpressure, and increasing throttle response and overall power. 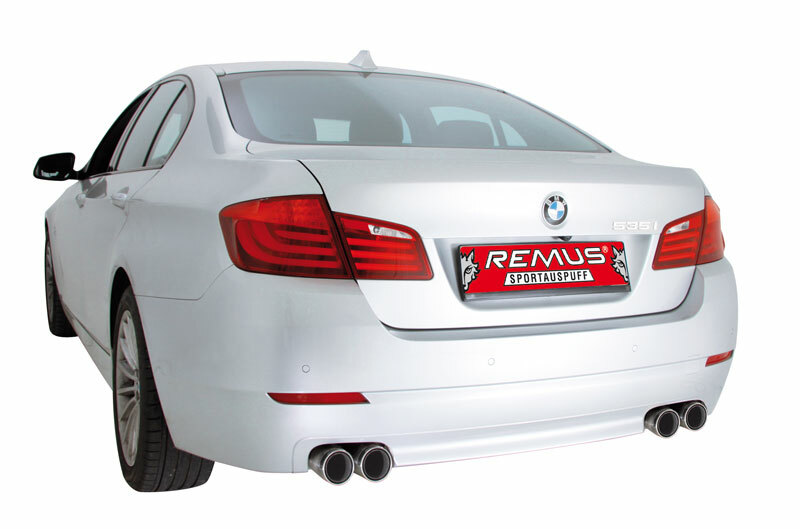 Remus is a leader in aftermarket exhausts, so no need to worry when it comes to a quality exhaust and perfect fitment. 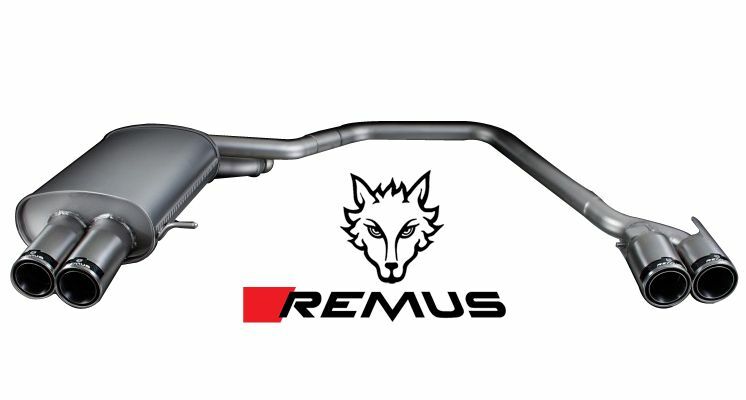 All Remus Mufflers are constructed from 303 stainless steel to ensure your exhaust never rusts and lasts as long as your vehicle does. 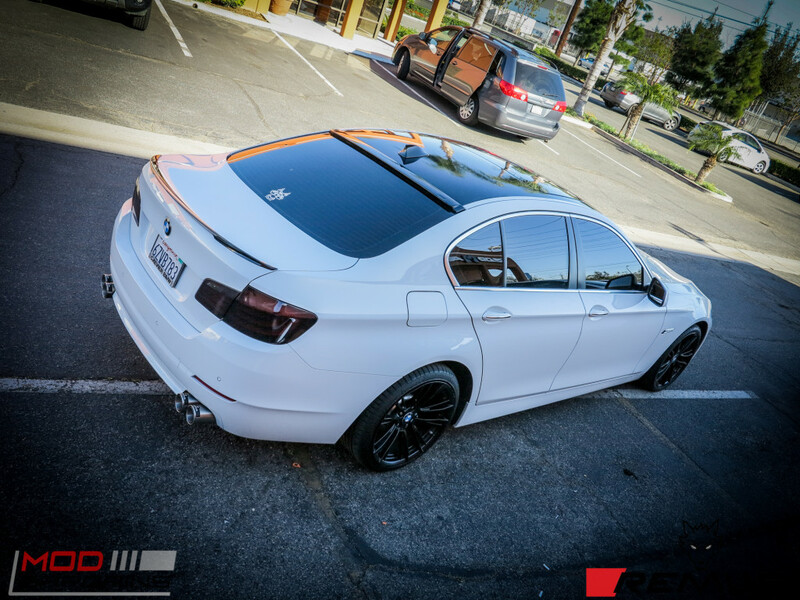 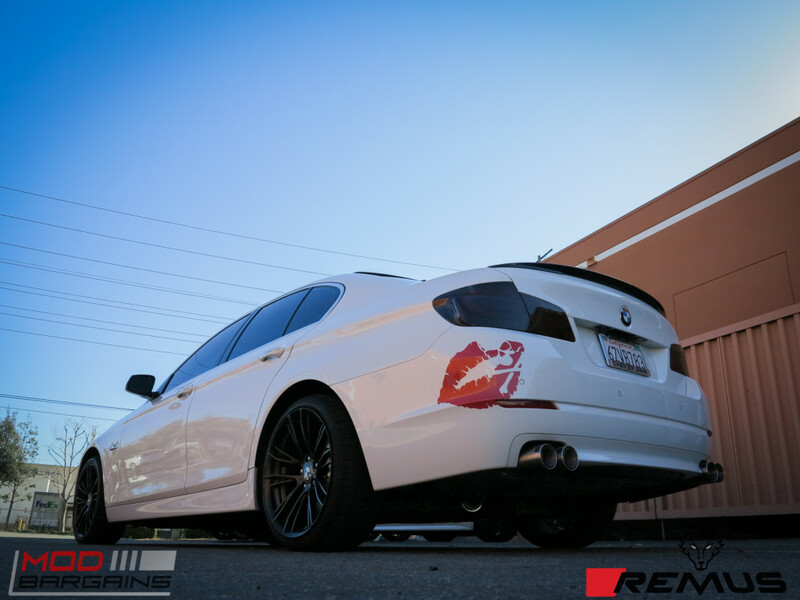 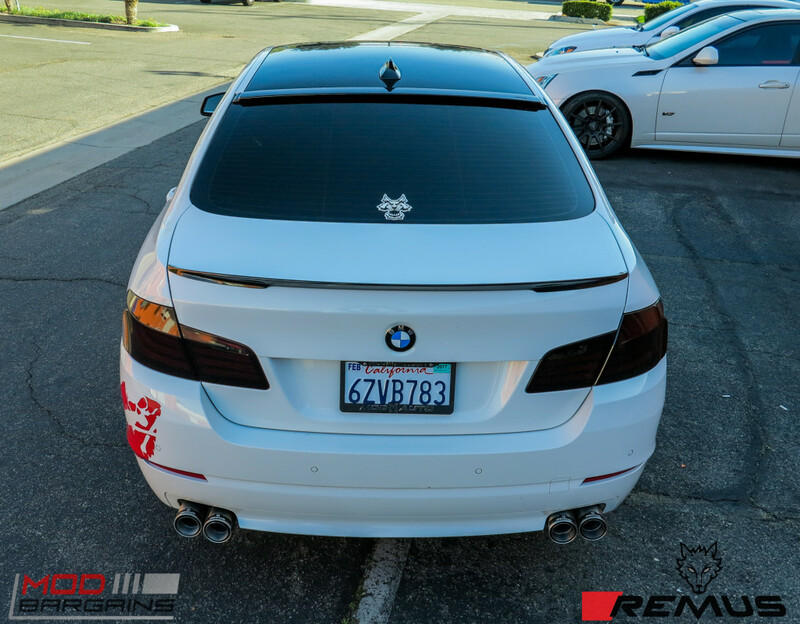 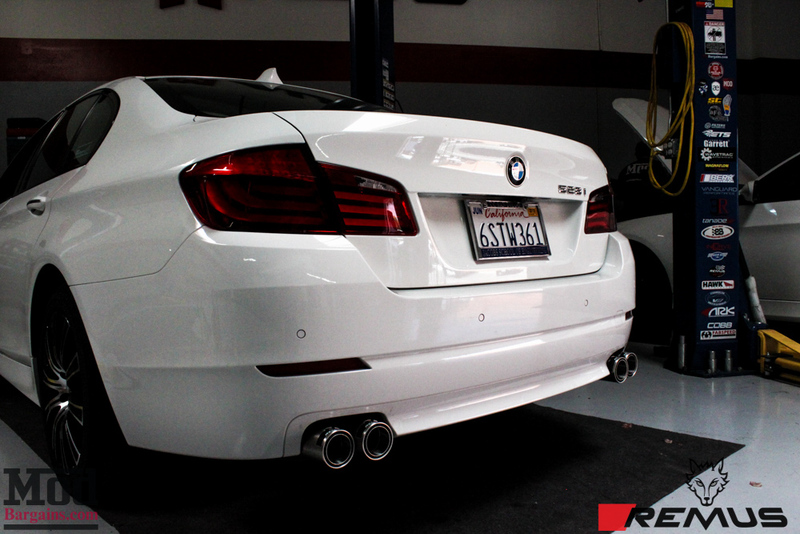 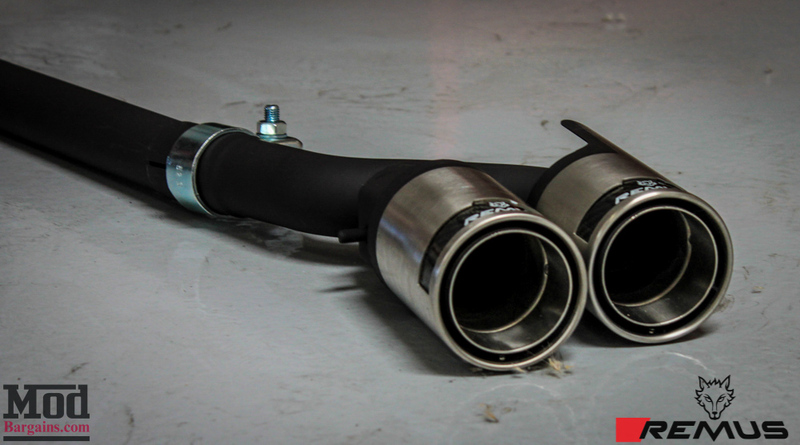 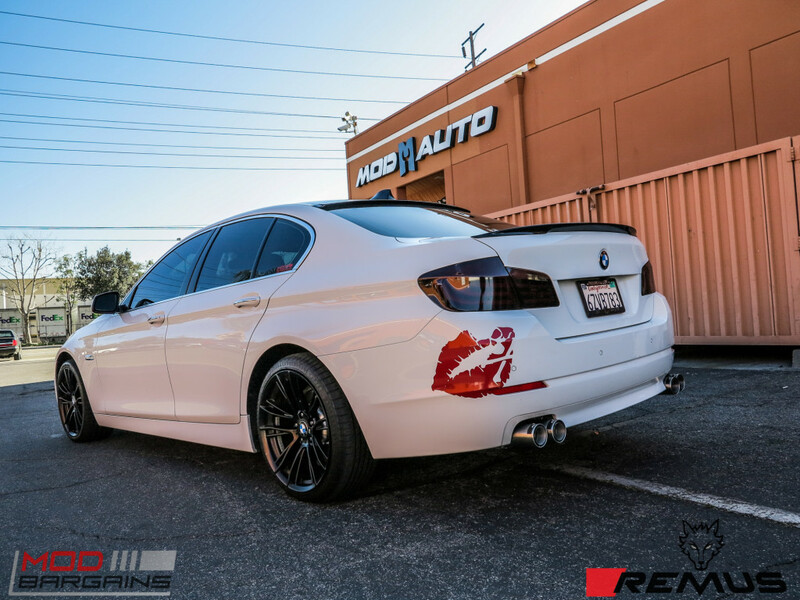 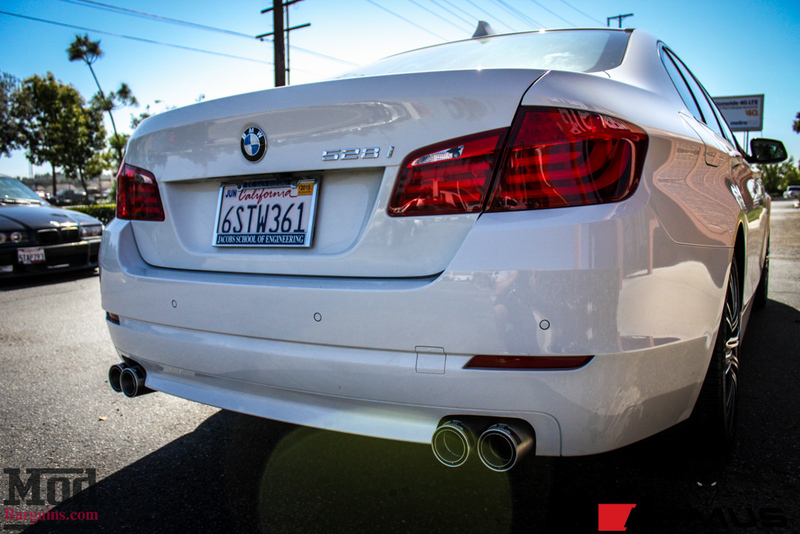 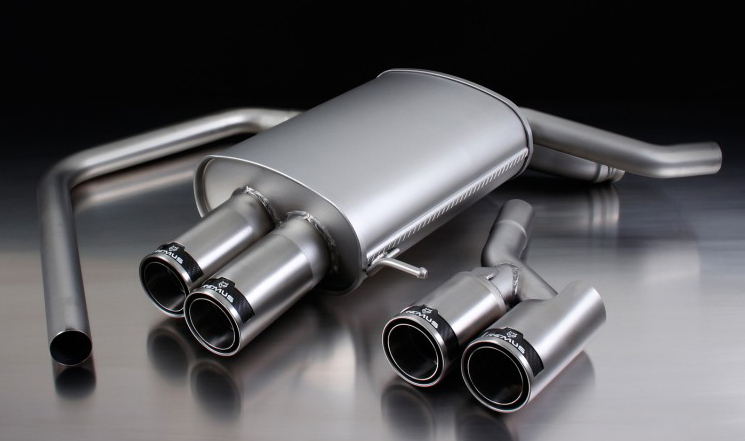 Give your F10 523i/538i a new deep and aggressive sound with this Remus Street Race BMW F10 523i/528i dual exhaust system. 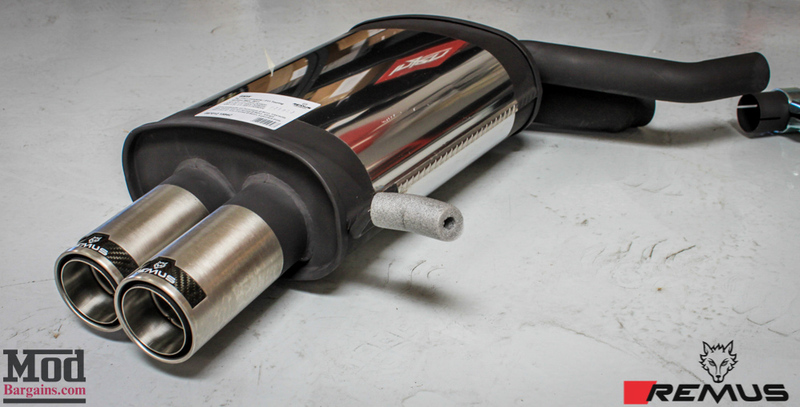 Three year unlimited mileage warranty. 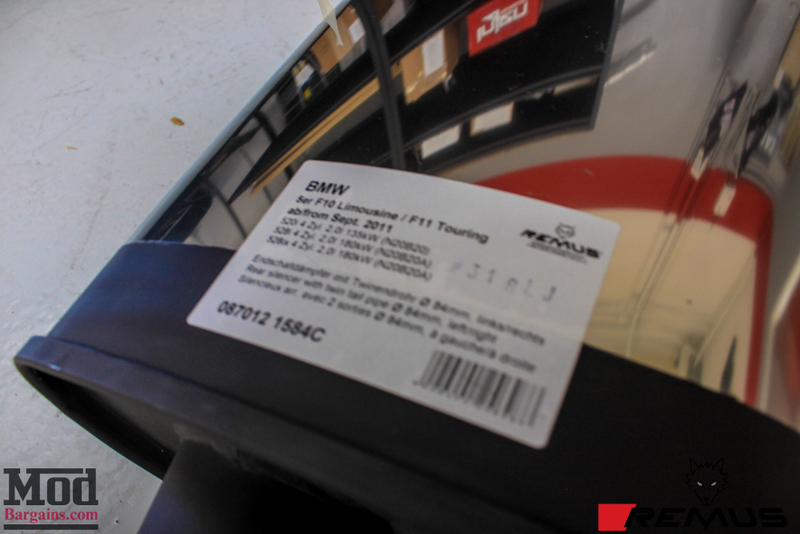 If there ever is a warranty claim, Remus will replace the product & pay $40.00 per hour for labor.